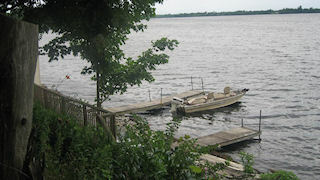 On the SOUTH shore of Rice Lake. 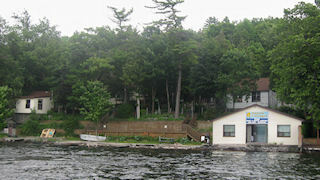 Newly renovated waterfront cottages. Some of the best fishing on the lake! Quite FAMILY oriented. Clean and tidy. Beautifully landscaped. Secluded and peaceful. Small store on premises with selection of sundries. Golfing close by. Birdwatching, hiking on surrounding nature trails. Discount on extended stays. Ask about our stay free specials. 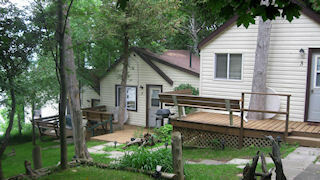 Three-bedroom cottages - Kitchen, Living Room, 3-pc Bath, all have queen size bed. 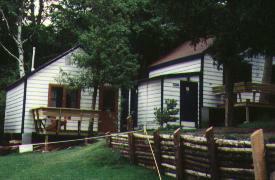 Two-bedroom cottages - Kitchen, 3-pc Bath, each have queen size bed. 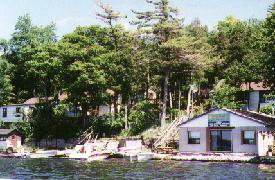 The two- and three-bedroom cottages have a private bathroom and shower. 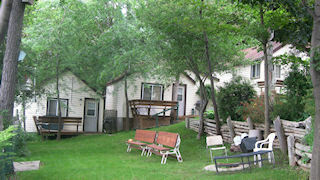 The three-bedroom cottages have a living room area.